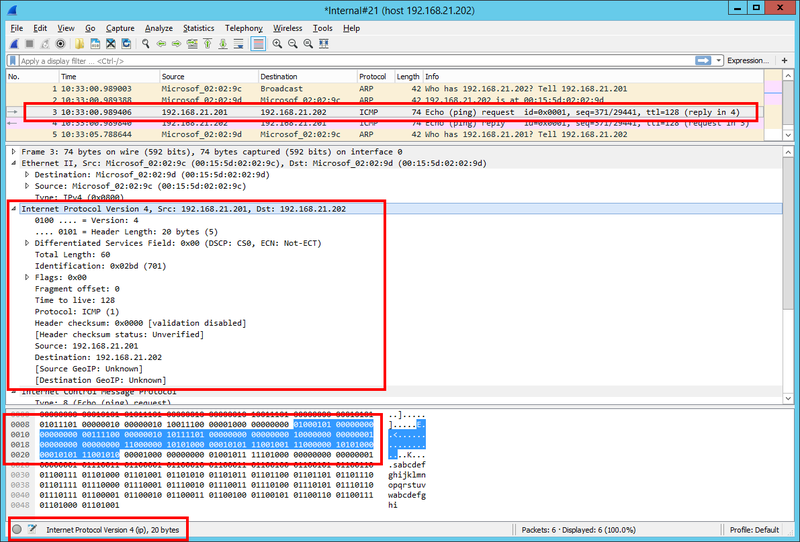 What happens when we perform a PING? 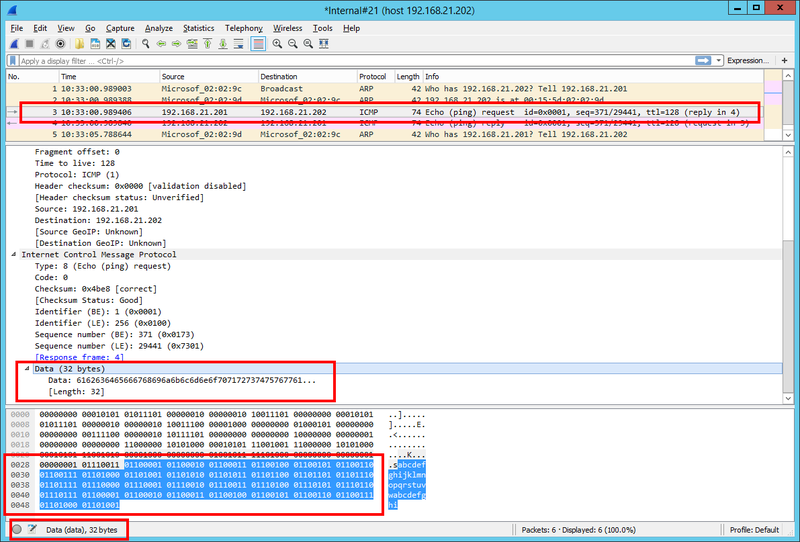 Please note when a PING is performed the default amount of data (ICMP data) passed between the systems is 32 bytes. 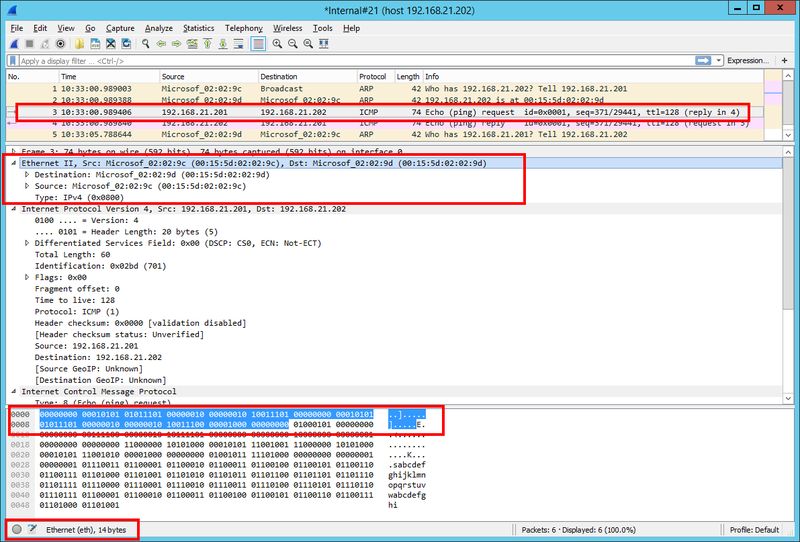 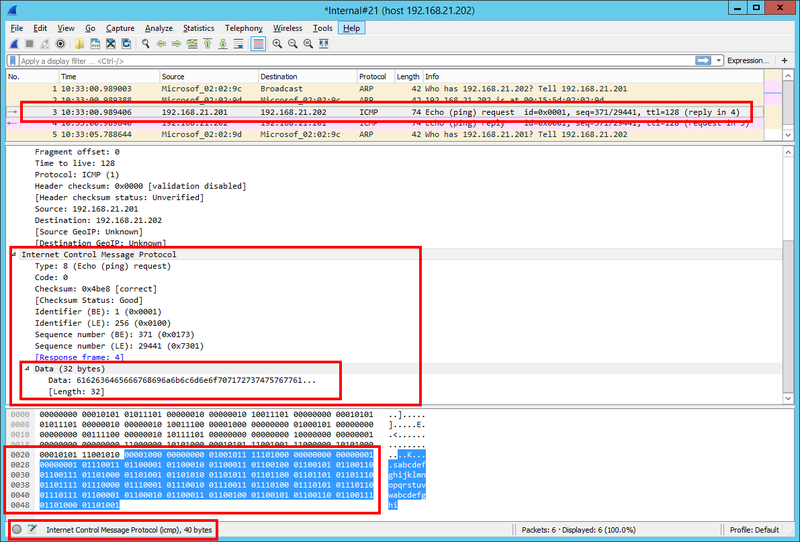 In the next image you can see how Wireshark is representing the network traffic – in this case with red is highlighted the frame associated to the PING echo request.